A honeymoon has to be celebrated in paradise. Irrespective of the number of days you spend there, the destination should create memories that last for more than a life time. One place that will give you a feel of paradise is Bali. A Bali Honeymoon leaves couples with memories lasting a lifetime as they spend some wonderful time together in the lap of nature in one of the prettiest regions in the world. Bali is a perfect honeymoon destination that offers couples with an abundance of idyllic beaches, hiking terrains and a chance to get familiar with the marine life, scenic landscape and delicious cuisine. This is the reason why many newlyweds opt for Bali honeymoon for their romantic getaway. 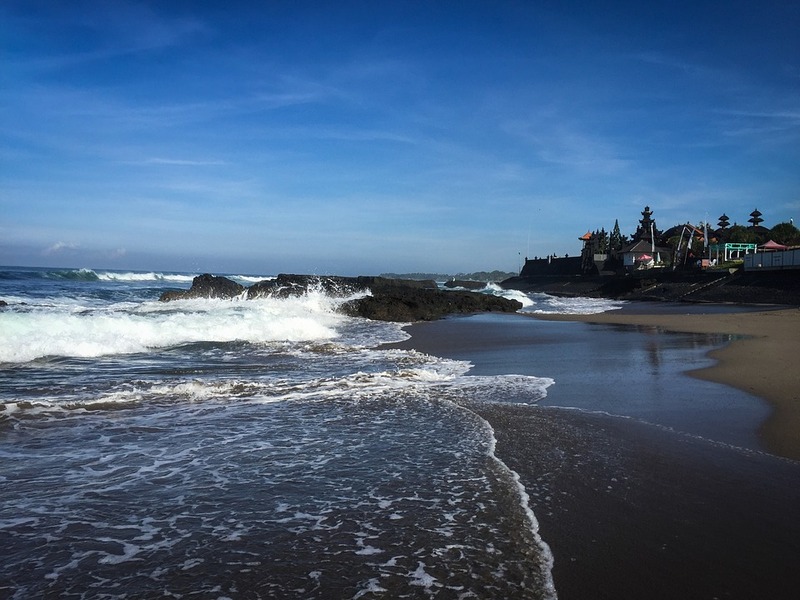 (Check out: Bali Tour Packages) There are many famous beaches as well as isolated undiscovered beaches that are spread across Bali. However, there is more to Bali than meets the eye and here is a roundup of the best places to visit in Bali for honeymoon! The peninsular hotspot is a great place to spend great moments of togetherness on the secluded beaches of Balangan and Suluban, rated to be the most beautiful beaches in Bali. Spend some precious moments at your abode, lounging out by the pool overlooking the ocean. Catch the special Kecak fire dance for some sizzle. 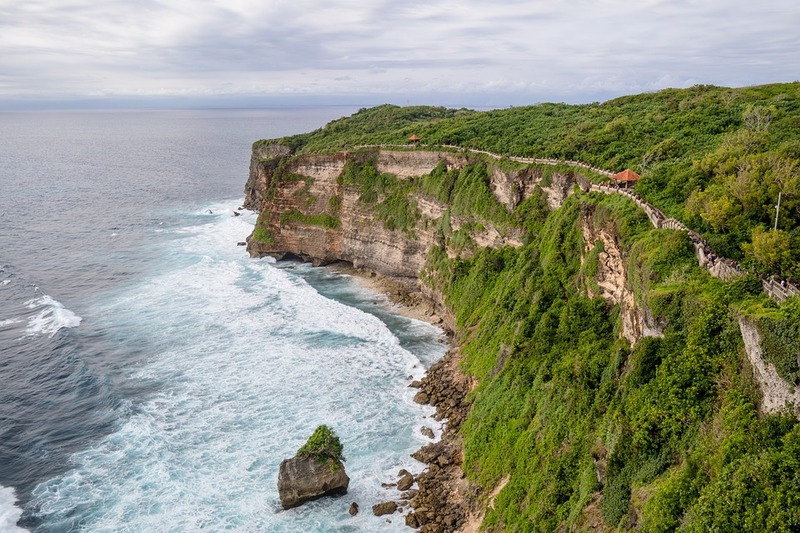 Distance from Domestic Airport: The Ngurah Rai Airport is approximately 21-22 km away from the Uluwatu Beach and Temple. It will take you 35-40 minutes approximately to reach there. How much time to spend: 1-2 hours would be an ideal time to spend at this place. 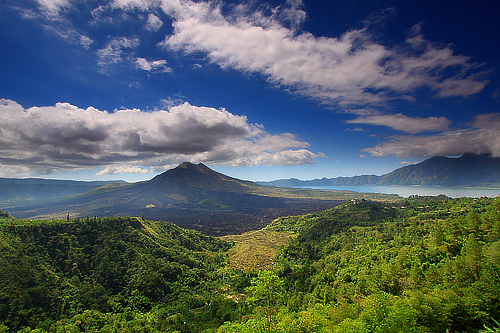 Amongst the top Bali honeymoon attractions is Mount Batur. Experience nature’s romantic drama on your sunrise hike to the active volcano, which is phenomenal. Unique and enthralling, this adventure will take your breath away with its beautiful crater lake, hot springs and fantastic panoramic views from its peak. Visit the precariously hinged Besakih temple and end your romantic sojourn with a meal at the Gunung Batukuru restaurant. Distance from Domestic Airport: The Ngurah Rai Airport is approximately 82-83 km away from the Mount Batur. It will take you 2-3 hours approximately to reach there. How much time to spend: 2-3 hours would be ideal. A romantic ride into the sunset isn’t just meant for the movies; in fact, this is one of the best things to do in Bali for honeymooners! Ride down the beach with your spouse, crossing river creeks, ambling through peaceful villages and rice paddy fields, with a stop or two at temples and caves. Canggu is one of the best places to visit during Bali honeymoon. You could even go vintage and take a horse drawn bendi ride. Distance from Domestic Airport: The Ngurah Rai Airport is approximately 20-21 km away from the Canggu. It will take you 40-45 minutes approximately to reach there. You and your special someone will be on the move in busy Kuta with its community markets and pulsating nightlife. Create unforgettable memories by visiting the Tanah Lot temple perched on a rock surrounded by the sea. Explore the loud and pulsating Bali nightlife in Kuta, which is dotted with pubs, bars, socials and excellent restaurants. Kuta is also the best to indulge in shopping in Bali for handicrafts, accessories, clothes and beautiful local knick-knacks. Undoubtedly, Kuta will be one of the unique places to visit during Bali honeymoon. Distance from Domestic Airport: The Ngurah Rai Airport is approximately 4-5 km away from the Kuta. It will take you 10-15 minutes approximately to reach there. How much time to spend: One entire day would be ideal. An excellent twosome experience awaits you and your soulmate here with its cooking classes, village tours, jewellery making workshops, art markets, river rafting and bamboo crafting classes. The Chocolate tours at Big Tree Farm will be the highlight of your Bali honeymoon package. Distance from Domestic Airport: The Ngurah Rai Airport is approximately 37-38 km away from the Ubud. It will take you 1-2 hours approximately to reach there. How much time to spend: One day would be ideal to explore Ubud. If you and your loved one are looking to escape the crowds and get a glimpse into traditional Balinese life, stop by at Lovina. Rejuvenate yourselves at the Banjar hot springs close by and delve deep into the rainforest to discover the enchanting Git Git waterfalls. Distance from Domestic Airport: The Ngurah Rai Airport is approximately 93-94 km away from the Lovina. It will take you 3-4 hours approximately to reach there. Best time to visit: Rainy season would be ideal as the waterfalls would be abundant. 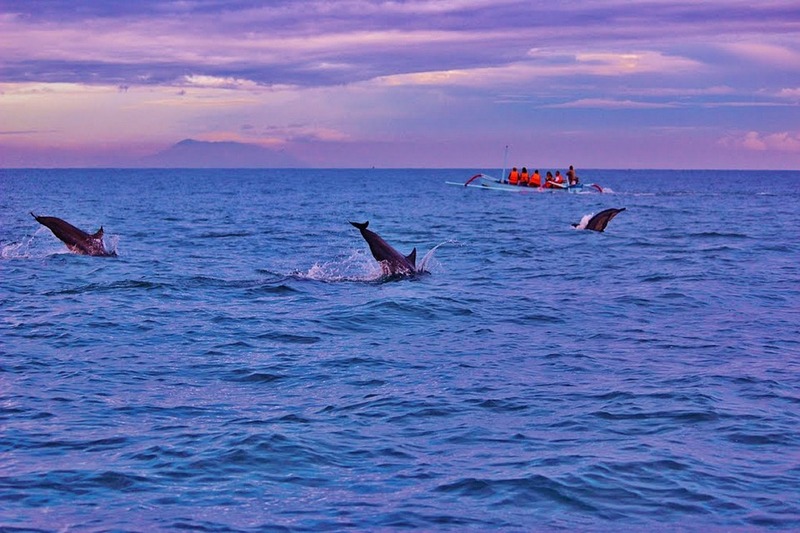 How much time to spend: One day is an ideal amount of time to spend in Lovina. Menjangan has to be on the list of places to visit in Bali for honeymoon. The gentle seas surrounding Menjangan in West Bali are a divers’ paradise replete with crystal waters, multi – coloured coral reefs and a vibrant diverse marine life. Couples can enjoy the privacy and beauty of this place as it is deliciously uninhabited and boasts of the best beaches in Bali. Distance from Domestic Airport: The Ngurah Rai Airport is approximately 22-23 km away from the Menjangan. It will take you 35-40 minutes approximately to reach there. Best time to visit: Diving season is the best time to visit. How much time to spend: You can spend an entire day in this beautiful place. The beach will give you and your partner some much-required respite with its tourist free, pristine white beaches. Go rustic and rent a fishing boat from Candidasa to reach this crescent shaped paradise and enjoy simple flavours of the local cuisine. Distance from Domestic Airport: The Ngurah Rai Airport is approximately 15-16 km away from the Pasir Putih Beach. It will take you 35-40 minutes approximately to reach there. Best time to visit: Sunsets are beautiful at this beach. It is one of the most romantic places to visit in Bali for honeymoon. Newlyweds have plenty of time and space to snuggle up as they travel on a 64-foot luxury catamaran to the secluded Crystal Bay, named thus after the turquoise waters surrounding it. 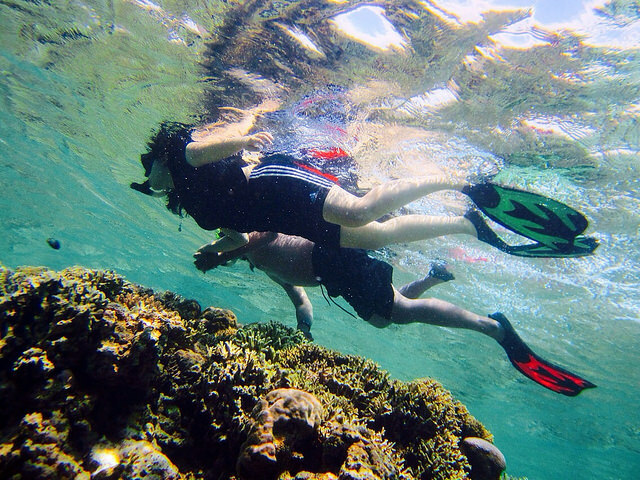 Spice up your lovely expedition with a delicious barbeque and get your slice of adventure with some snorkelling activity to explore its stunning coral reef. Distance from Domestic Airport: The Ngurah Rai Airport is approximately 10-11 km away from the Crystal Bay. It will take you 15-20 minutes approximately to reach there. Best time to visit: Summers are the best time to visit. How much time to spend: You can spend an entire day relaxing on the waters. There’s nothing better than a picnic here. 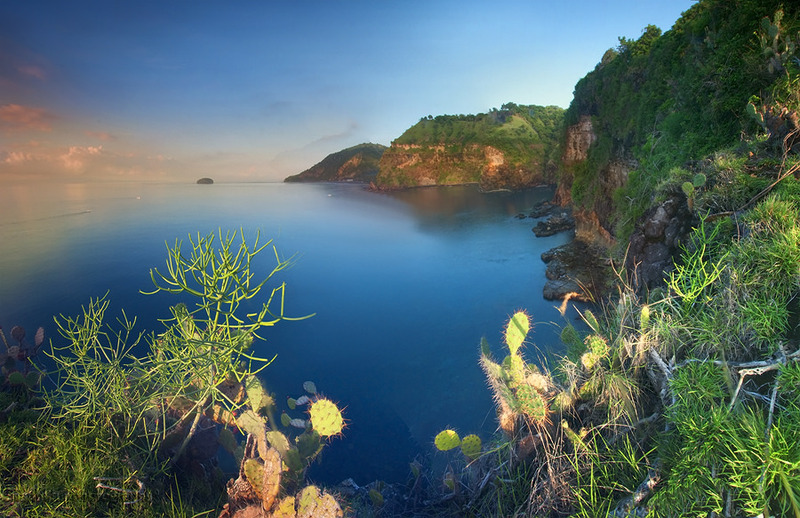 This slanted hillside overlooks the ocean, giving you the perfect setting for a picnic with an interesting twist! The incredibly romantic spot for lovers is perfect for catching the sunrise and panoramic views of the Indian Ocean, its coral reefs and small islands. Distance from Domestic Airport: The Ngurah Rai Airport is approximately 78-79 km away from the Karangasem. It will take you 1-2 hours approximately to reach there. Best time to visit: This place is known for its beautiful sunrises. How much time to spend: 4-5 hours would be ideal. There is more to Bali than meets the eye. Bali honeymoon destinations offer couples with an abundance of idyllic beaches, scenic landscape and delicious cuisine. This exhaustive roundup of the best Bali honeymoon places will make you want to go to honeymoon here! Come visit this paradise. An ardent traveller, nature lover, obsessive reader and a big foodie. I love to travel and explore new destinations. I pen down thoughts about my travel experiences and feel great about the fact that I can take people through a virtual tour. Amazing post, I will follow you. I feel this specific is amidst the much beneficial insight for me. Furthermore i’m just satisfied reviewing your content. Additionally, your website might possibly be created even better, the blog is actually in actuality excellent. Just exactly the right process, all the best! I’m really stunned at the research you have made to produce this special articles and reviews. Wonderful! The Pristine Crystal Bay is like a piece of heaven for honeymooners. Its a must go for couples, especially for newly weds. Bali serves as one of the perfect destination for a honeymoon. Great post. Awesome pictures, and really good content. Totally enjoyed reading this article. Current planning for a Honeymoon trip with my special one. Thanks for this post.